Leftovers are a cherished part of the holiday meal experience. And that’s a relief, since after working so hard to prepare the great holiday feast, the kitchen may be the last place you want to be. Your refrigerator and freezer make it possible for you to enjoy those holiday flavors days, or, if you freeze your leftovers, for months to come. Food safety is the first thing you should think about when storing that leftover holiday turkey, vegetables, stuffing, side dishes and desserts. The U.S. Food Safety Inspection Service (FSIS) says leftovers, regardless of the type of food, can be stored safely in the refrigerator for 3-4 days, or for 3-4 months in the freezer. Hot food should be refrigerated within two hours of the time it is cooked or taken out of an oven or other appliance that has been keeping it warm, FSIS says. Bacteria can still grow on hot food after it is placed in the refrigerator, so it’s important that it cools as quickly as possible. Separate hot foods, like soup, into smaller containers to speed up cooling, FSIS recommends. Don’t forget to check the temperature in your refrigerator regularly. It should be kept between 34 and 40 degrees Fahrenheit. If you’re hosting the holiday meal this year, you know the leftovers are coming. Plan for them. The Food Network suggests making room in the refrigerator in advance by using up items the week before. Have plenty of containers ready and label them in advance so you’re ready to move the food to the refrigerator or freezer right away. Take stock of your containers and use those that are sized appropriate for your refrigerator. Cafemom recommends cutting the turkey into smaller sections for storage. Remove any stuffing from inside the turkey. Use gallon-sized food storage bags to store soup and gravy. Put the bag inside another container before you pour in the contents and let it sit for a moment to check for leaks. 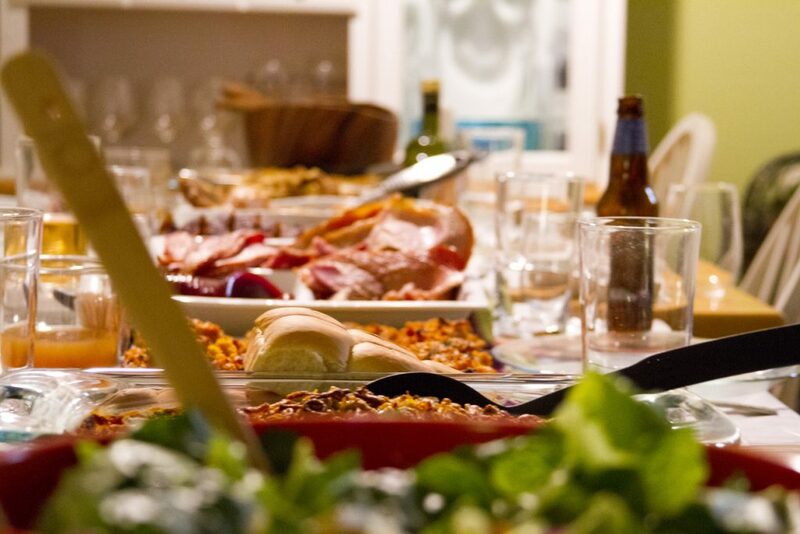 Keep food preferences in mind if more than one person will be polishing off the leftovers. Cookstr suggests storing the light and dark turkey meat in separate containers. Just as you would when cooking it the first time, make sure your leftovers reach 165 degrees F when you reheat them. If you use a microwave—the go-to reheating appliance for many—arrange the food neatly on a microwave-safe dish and cover it with an appropriate cover, FSIS says. Bring any sauces, soups or gravy that you’re reheating to a rolling boil. Frozen leftovers can be safely thawed in your microwave or refrigerator.